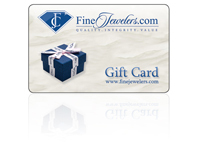 Here at Finejewelers.com you get factory direct prices because we are the factory. 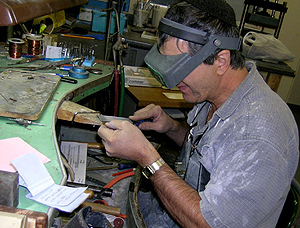 Once your order is placed, we immediately custom make it just for you! 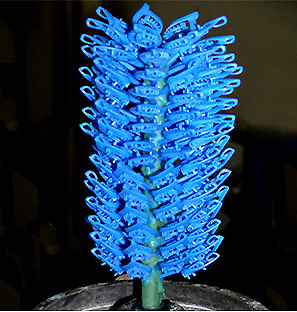 Once enough are made, wax models are attached together to make a “wax three”, that is inserted into a plaster molding cylinder. 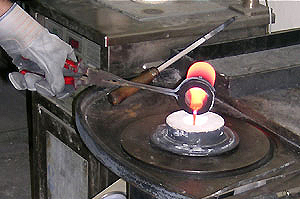 After the plaster cylinder is placed in the oven, the wax melts away, leaving behind the imprint or “mold” in witch pure molten gold is carefully poured to create a “gold three” where the “wax three” once stood. Now each individual gold “castings” are separated from the three, prepolished and prepared for setting. 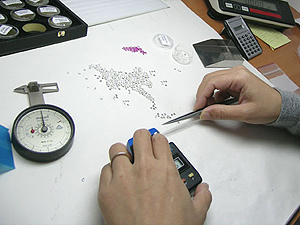 In the meantime, in our offices, gemstones are carefully had selected and individually measured to perfectly fit your piece of Jewelry. 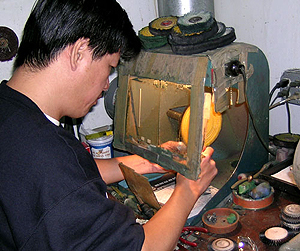 Back in the factory, the gold casting and the selected gemstones are put together and masterfully set by hand by our experienced Jewelers and gemstone Setters. A picture from our stone setting room at our factory floor. 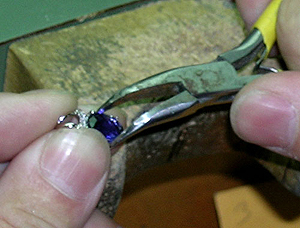 Once the gemstone setting is finally completed, the item is inspected and sent to be carefully washed and individually hand polished. 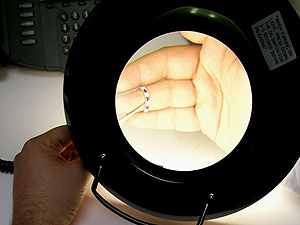 After the item is finally ready, it is sent back to our offices for yet one more carefully quality control inspection, before it is shipped out to your door. As you can see, from start to finish, a lot of care and attention was placed in preparing your order. 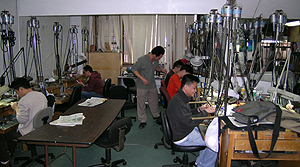 Many expert and experienced craftsmen collaborated to custom make your piece of fine jewelry, and we hope you will wear it with pride for many, many years.